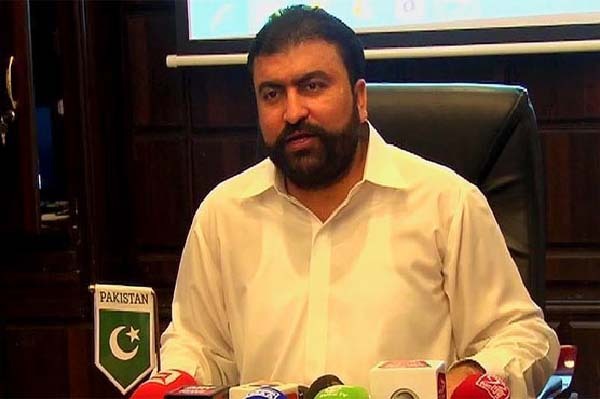 QUETTA, Aug 23 (APP): Home Minister Balochistan, Mir Sarfaraz Bugti strongly criticized MQM chief, Altaf Hussain for delivering provocative speech which led to attacks on TV channels in Karachi. He said that MQM chief Altaf Hussain showed himself as a black dot on a civilized society.”Using uncivilized language and raising slogans against Pakistan by Altaf showed that he was not a normal person,” he added. Speaking to media persons here, he said that MQM chief was involved in killing of innocent people and causing bloodshed.”Altaf Hussain is mentally sick person who is behind killing of innocent people,” he said.”Such elements should not be part of politics of Pakistan,” he added. He said that no one could be allowed to use derogatory language against our homeland.He demanded legal proceedings against the MQM chief.